Goodreads: In all her life, Eustacia “Taisy” Cleary has given her heart to only three men: her first love, Ben Ransom; her twin brother, Marcus; and Wilson Cleary — professor, inventor, philanderer, self-made millionaire, brilliant man, breathtaking jerk: her father. Kritters Thoughts: Dual narrated by a set of sisters who don't know each other at all, but are thrust into each other's lives and hopefully can form a bond and help each other to find true happiness. Tasiy is a woman who had her father in her life but not quite the most attentive father until she turned 18 and her life fell apart. Willow was born out of the collapse and he was a completely different father to her, almost too attentive. First, I already know I love dual narratives and then to have two sisters who weren't in each other's lives come together, I knew this book would be a hit. I love a sibling story and that was the core and center of this book and man I adored it. The arc of their relationship felt real and worked for me. With an interesting father at the center I loved reading about him through both of their eyes and trying to understand they were talking about the same man! I definitely despised him, but I think that was the moral of the story and I don't mind having a book with a character or two that I don't like as long as the rest of the cast is likeable. 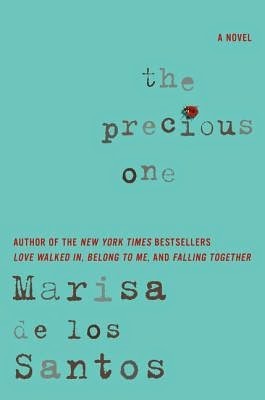 This is only my second Marisa de los Santos read and although I have the rest of her backlist on my shelf, this one is moving them to the top of my TBR pile! I'm a big fan of dual narratives, and I love the idea of two sisters who don't really know each other. I'm glad you enjoyed this one! Thanks for being a part of the tour.